According to Cambium Networks, a leading global provider of wireless networking solutions, disaster preparedness and response have entered a new era, where providing first responders and emergency workers, as well as the public, with internet connectivity has become a critical factor in effective operations. This was recently demonstrated during the dramatic cave rescue in Thailand, where 12 young boys and their soccer coach were trapped for two weeks, culminating in a rescue operation that captured the attention of the entire world. Thanks to the numerous emergency and military personnel, and volunteer experts, the "Wild Boars" soccer team and their coach were rescued. "Connectivity is vitally important to first responders, aid agencies, medical services and families when unforeseen events happen," said Rohit Mehra, Vice President, Network Infrastructure, IDC. "Wireless connectivity is a proven solution for disaster recovery when it is rapidly deployed and reliable, provides high performance and is immediately interoperable with a diverse set of user devices. The incredible efforts of first responders and emergency workers in Thailand were supported by having access to reliable connectivity and internet access that enabled them to communicate with each other and to get critical information about the boys who were being rescued." 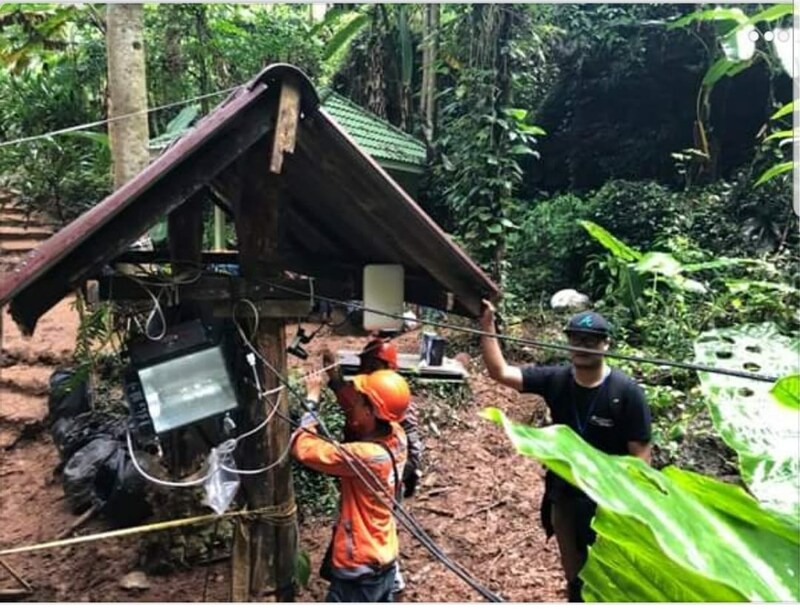 In the recent incident in Thailand, wireless connectivity played a critical role in delivering reliable internet service that connected teams at the remote cave entrance, located more than 100 kilometers from Bangkok. At the on-site rescue command post, local telecom solutions provider KING IT worked with regional telco 3BB to create a hotspot at the cave entrance with Wi-Fi connectivity provided by Cambium Networks cnPilot™ e500 outdoor access points. "Cambium Networks equipment helped provide Wi-Fi coverage at the cave entrance site during the rescue exercise, and we are very grateful to have contributed connectivity technology to this amazing effort," said Atul Bhatnagar, President and CEO of Cambium Networks. Two Cambium Networks cnPilot e500 enterprise outdoor network access points were used; one was placed facing the entrance of the cave, while the other access point was placed at the "information tent"
More details of the connectivity solution and network performance are available in the solution paper. In this circumstance, as well as many others, emergency teams must establish operations very rapidly. And in today's internet-connected world, that means creating wireless networks that can transmit voice and data information in remote, rugged and dangerous places such as the Tham Luang cave complex where the boys were trapped. Wireless network connectivity delivers a proven ability to make a difference in first responders' ability to coordinate response teams and provide aid to people in need. With deployment of industry-standard Wi-Fi connectivity, emergency personnel can get online quickly, relay vital information to other rescuers, access information from on-line resources that support the response efforts, and keep families and the public connected and informed. PTP 650 links were deployed in response to 2017's Hurricane Harvey in Houston leveraged similar cnPilot equipment to deliver data from E911 dispatch services via wireless internet, enabling ongoing delivery of GPS information to fire trucks and ambulances; as a result, first responders had the latest information as soon as they got into their vehicles. ePMP connectivity was deployed to reconnect Puerto Rico after hurricane Maria. "Our company is all about connecting people, even in the most extreme circumstances and locations. And reliable wireless connectivity – including deployment in hours, not days or weeks – is part of bringing people together to respond and ultimately make challenging situations better," said Bhatnagar. "We are thrilled that the soccer team in Thailand is safe and commend the rescuers for their efforts. We are honored to have played a part in the technical solution that assisted the rescue teams by facilitating wireless communications."